Waitrose is launching a marketing campaign to promote its money-saving Pick Your Own offers, with a TV ad that comes as the loyalty scheme signs up 1m customers. The 40-second TV ad debuted last night (20 January), during a break during the National Television Awards, and will demonstrate how customers use their favourite products in different ways throughout the year. The ad is set to the song ‘Monday, Tuesday, Wednesday (I Love You)’ buy Betty Driver. 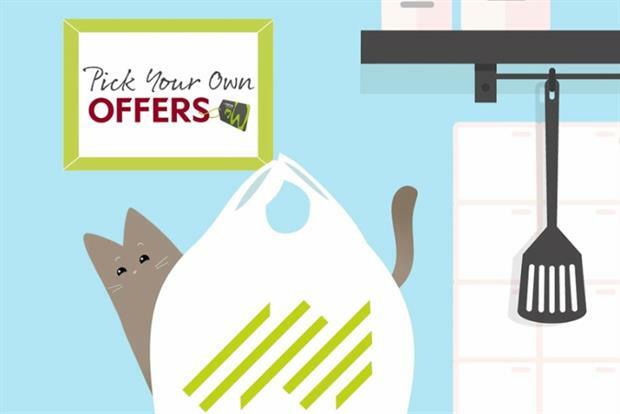 The Pick Your Own scheme allows MyWaitrose members to pick a list of 10 products from a list of 100s to match savings to their needs and preferences. The most popular products include chicken, salmon and toilet tissue. The campaign has been created by Adam & Eve/DDB and will follow up the TV launch with print and digital activity. Rupert Thomas, Waitrose’s marketing director, said: "The idea of saving regularly really appeals to shoppers, with many choosing items that they usually buy every week to generate ongoing savings. Along with Brand Price Match and our other promotions, Pick Your Own Offers shows we offer exceptional value for great quality products". Waitrose’s Pick Your Own app has also been updates to make it easier for customers to edit their picks. The Hermès Apple Watch is available to buy online from tomorrow (22 January) having previously only been sold in select stores, with a price tag starting at $1100. The luxury collection of Apple’s smartwatch was previously only available at select Apple Stores, Hermès boutiques or high-end department stores. Apple’s agreement with Hermès was one of the first it had entered into for one of its main products. Amazon is rumoured to be in talks with grocery delivery firm Ocado, according to various reports. Such a move would pave the way for Amazon’s ambitions to launch a fully-fledged grocery delivery service in the UK. Amazon Pantry, which offers a limited range of FMCG, food and drink products, is already available in the UK to Prime members.